Video inspection is an indispensable tool for assessing new and existing pipelines. 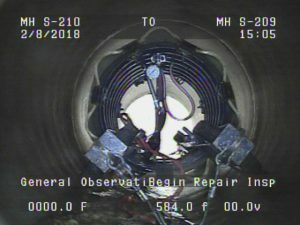 Experts with decades of pipeline inspection experience, All South Underground utilizes state-of-the-art video inspection equipment to perform closed circuit video inspection of virtually all diameters of sewer, stormwater, culvert, potable water, and industrial pipeline systems. Video inspection is invaluable for the identification and documentation of deficiencies such as dips, offset joints, cracks, roots, blockages, infiltration, and more. 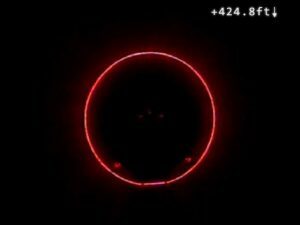 Accurate assessment of pipeline condition can help prevent faulty installations, predict potential failure points, and identify deficiencies in need of repair. Our skilled operators produce detailed video and written reports that our clients rely on during all phases of pipeline installation and maintenance. Most video inspections fall under one of four categories. Preliminary – Conducted immediately after installation by contractor or owner to verify the initial construction of pipeline so that any outstanding deficiencies may be resolved prior to submital for acceptance by the owner. Final – Conducted to document the final condition of pipeline installations as submitted for owner and governmental acceptance. Final inspections are commonly performed with a governmental inspector or CEI (construction engineering and inspection representative) in attendance. Maintenance – Conducted periodically to assess the condition of aging pipelines, identify potential failure points, and investigate deficiencies in need of immediate repair. Investigatory – Conducted to determine the composition of the system; often when plans have been lost or are unavailable. A radio beacon can be attached to camera equipment to aid in mapping the system from the surface. Scheduling – Scheduling is typically firmed up a week or two in advance, but this may vary; an appointment verification call is made to the client immediately prior to mobilization. Pre-Production Meeting – Lead Operators and Project Managers meet with Client’s field representative to review Plans, Environmental Considerations, and Staging Requirements; a Production Plan is generated. Pipeline Preparation – In most cases, pipelines are dewatered and cleaned prior to inspection with a hydro-jet vacuum. If there is a lot of heavy cleaning required jet-vac crews may be mobilized the day prior to commencing pipeline inspection. Site Safety – Upon arrival, inspection crews survey the site, set up traffic cones and management of traffic (MOT) systems, and ensure that the work area is safe. 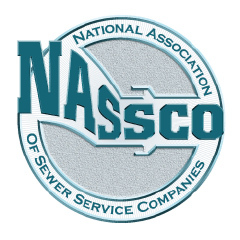 Expose & Verify Utilities – Manholes, Curb Inlets, and Box Lids are removed as necessary. Station numbers, pipeline sizes, and pipeline types are confirmed. Deploy Camera Equipment – In the case of robotic crawler inspections, a small crane is used to lower and guide the camera tractor into the pipeline. 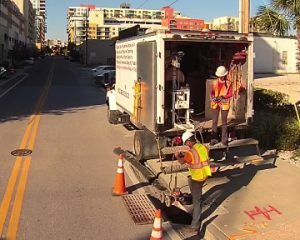 Push cams are rolled to the respective access point and connected to recording equipment (typically a Video Inspection Truck). Inspection – A skilled Operator performs the inspection according to the Client’s prescribed reporting protocol; video is digitally recorded while a written report is generated that details observations and any defects that may be encountered. Demobilization – Inspection crews collect MOT devices, replace all access covers, and restore the area to its original condition. Deliverable Submission – Video Files and Inspection Reports are delivered to the customer in the format requested; a brief summary of the findings is verbally provided by the Operator at this time. Typically deployed in pipelines that are 6″ in diameter and larger. 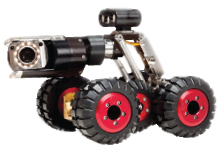 Robotic crawlers cameras are connected to specialized video inspection trucks by an umbilical cable and can traverse over 1,000 feet of pipeline in a single run. Once deployed, the operator controls the entire process from a control room on the truck. 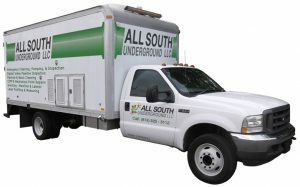 All South Underground’s fleet of Robotic Crawlers can be configured for a variety of pipe conditions and supplemental functions such as laser profiling and micrometry. 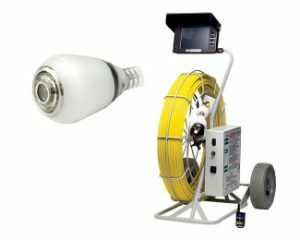 Suitable for inspecting pipelines as small as 1″ in diameter, All South Underground’s industrial push cameras are used to inspect pipeline otherwise unsuitable for crawler camera use. 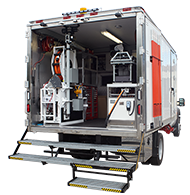 Our push cameras feature self-leveling camera heads, footage counters, and integrate seamlessly with our Video Inspection Trucks to provide digital recording and fully detailed reporting. 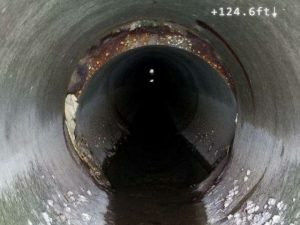 Push cameras are most commonly used for inspecting sewer laterals, small diameter water lines, stormwater down-drains (especially on bridges), and industrial piping. 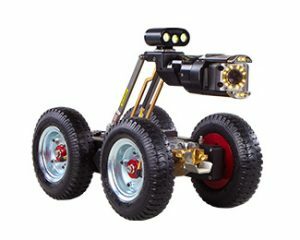 Independent self-powered mobile push camera units with digital recording capability are deployed where inspections must be conducted indoors or in areas inaccessible to Inspection Trucks. Informed decisions help prevent pipeline failures, avoid faulty installations, and avert property damage. 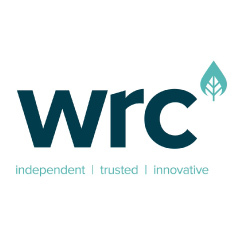 Our certified operators perform pipeline inspections according to NASSCO, WRc, and other standards as specified by our clients. Accurate assessment of pipeline condition helps determine the likelihood of pipeline failure and provides important information for repair and rehabilitation planning. All pipeline inspections include delivery of digital video on DVD and a printed report of observations and deficiencies. Electronic delivery methods are also available upon request.